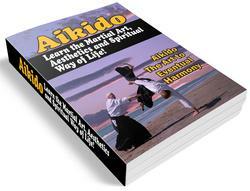 This is in effect the reverse of Harai, in that in this instance the semi-circle strikes downwards instead of upwards. This is not illustrated since it will appear the same as plates 138 and 139. As with Harai the defending blade clashes against the Tsuba Moto (guard base) of the attacking blade but is normally less efficient since it is necessary to lift the blade again to make the reply cut, and time is lost unless the attacker is striking to either the Kote or Do. 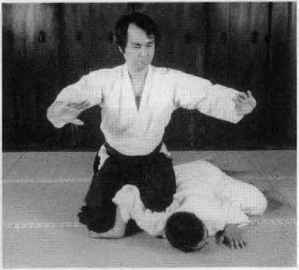 In the case of Do, which approaches at a very oblique angle the action is very similar to that in the Uchi Otoshi of Shikake-waza, except that the defending blade points towards the opponent's right shoulder and hip.